Recently a Hindu priest was murdered at a temple in Bangladesh by three motorcyclists. The name of the priest is Shaymononda Das and he was preparing for the morning prayer when the trio attacked. Bangladesh is the Muslim majority country of more than 16 million people. Since February 2013, such attacks against Hindus have increased in Bangladesh and around 40 people were killed in such incidents over these 3 years. Most people assume that such attacks are the activities of Muslim extremists but the authorities say that they still don’t have any ideas about the motive of these attacks. “He was preparing morning prayers with flowers at the temple early in the morning and that time three young people came by a motorbike and killed him with machetes and fled away,” Mahbubur Rahman, the chief of Jhenaidah district administration said. Reports say the Hindu priest was brutally hacked several times on neck by the attackers who immediately flew away after killing him. 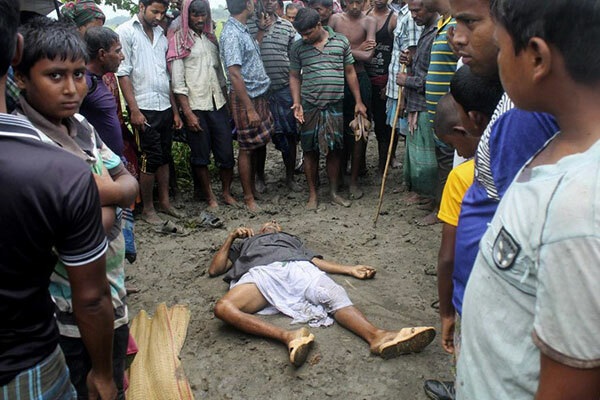 In the same district of Jhenaidah, Bangladesh, a 70Yr old Hindu priest was also hacked to death last month but for Shaymonanda Das’s and that priest’s death, the local police blames the local Islamic militants for such activities.